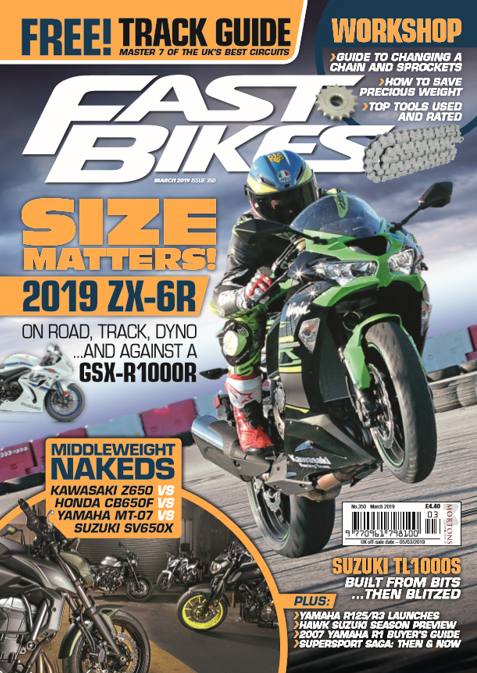 The world is now a very different place after Kawasaki has now launched the H2 and H2 R. As a prelude to a huge feature in the magazine, here are some pertinent facts about the bike to sate the appetite for knowledge about these very special bikes. 1 – The H2 is not a stock or standard bike. It is a belter, so different to anything on the market, all thanks to that supercharged engine that develops well over 200bhp at 11,000rpm. That means that down Qatar’s straight it was hitting 300kph. 2 – The H2 R is three levels above the (non standard) H2. This bike somehow pumps out over 320bhp, and makes mincemeat of any straight going. This, however, does not make it an easy bike to ride. 3 – The detailing on each bike is out of this world. Both bikes own Kawasaki’s River mark, a badge sacred to the firm. It’s earned this through massive collaboration throughout the company, who have all contributed to make two stellar bikes. 4 – The impeller at the heart of the supercharger breaks the speed of sound at high revs. That’s why it makes a little chirping sound as you gas it hard between corners. It’s mental! 5 – Function followed form throughout the both bikes’ design. That’s why it looks the way it does. It may not be pretty but that’s because everything is so effective on it. 6 – We got through a set of Bridgestone slicks every session on the H2 R. That’s what happens when you release 320bhp at the exit of every corner. 7 – The electronics are amazing. Without them you would highside into space, so the H2’s electronic abilities are massive. There’s lots of adjustability too, and you’ll need this to get accustomed to the bike. 8 – They are loud. Very loud. The H2 R is reckoned to hit 130dB at peak, so if you’re expecting to rock up to a trackday and have a great day buzzing everyone, then that’s not going to happen – unless you come out here to Qatar again. Akrapovic is developing a can for the H2 R that should quieten things down to a more respectable 107dB. 9 – All the important bits were designed in house, not bought in. This is because Kawasaki wants to grow its knowledge base here, to produce a new range of bikes using this technology. The H2 has been a buttering up exercise to get us used to superchargers! 10 – You can still buy one! The H2 is a production model, built on its own line in the Kawasaki factory. But the UK still has two H2 Rs available for sale. You want one? That’ll be £22,000 for the H2 and £41,000 for the H2 R please! Read more about it in the next issue of Fast Bikes! Previous Post:Book the TT Metzeler Village – Win a Guy Martin Replica AGV! If these don’t sink without trace I will eat my Arai. A 1000cc sport bike can’t use more than 170 / 180 HP without electronics to chop the horses down to usable levels. A 500cc with the power of a 1000 – yes. Smaller, lighter and more nimble. Why not fit it with Nitrus and have electronics to cut it down to one cylinder on full throttle. Given a choice between an H2R and a bog standard new R1 I know what I would choose and which would get from A to B the fastest. I’ve just read your article on the H2 Kawasaki they sound amazing, it’s great that large players still have a looney in the design room. One that caught my eye was the 1.45m seat height and that super short wheelbase of 830mm haha. Great write up though guys.